Slim your bill by switching to our Home Phone service and choose the plan that's right for you while keeping your same telephone number! By using Voice Over IP (VoIP) technology, your high speed Internet connection is used to deliver home phone service using your existing telephone handsets. 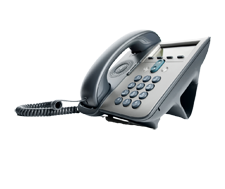 There are no activation fees for our Home Phone service but an ATA adapter is required for this service and can be rented at a low monthly cost of $4.00 per month or purchased at $49.99. You may also bring your own device at no additional cost but we are unable to offer any technical support for it.